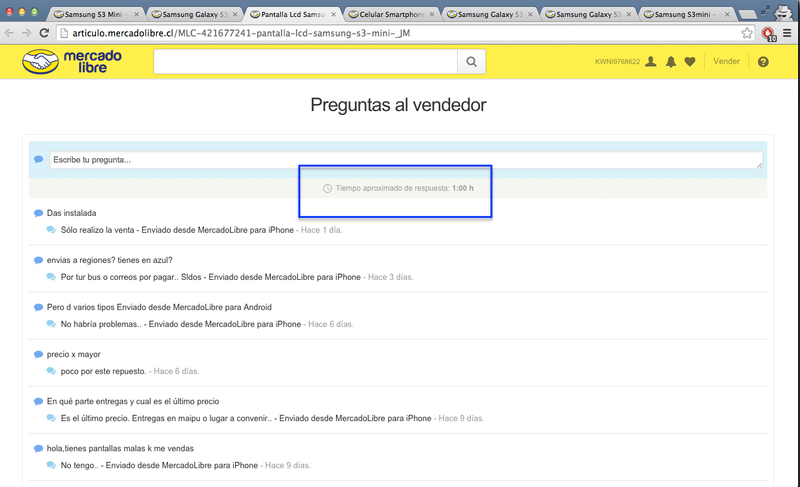 In the last 18 months in South America, I’ve had to use Mercado Libre to buy a MacBook hard replacement drive cable, a replacement charger (seems like I’m not the only one), as well as a new droid after mine died out. 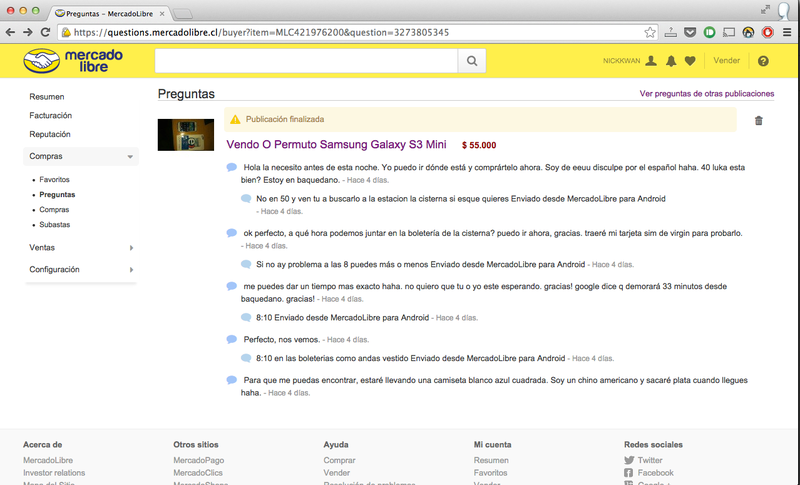 Often known as the Ebay of Latin America, Mercado Libre is actually closer to a Craigslist in my mind. 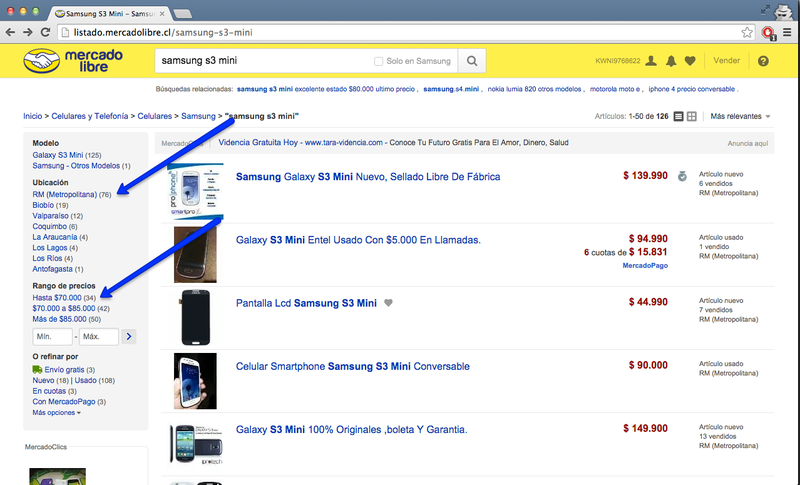 While you can pay for products online and some items are auctioned, almost all of their products are sold at fixed prices and many vendors actually prefer to meet in person to sell their goods. If Spanish isn’t your forte, (or at least, yet! 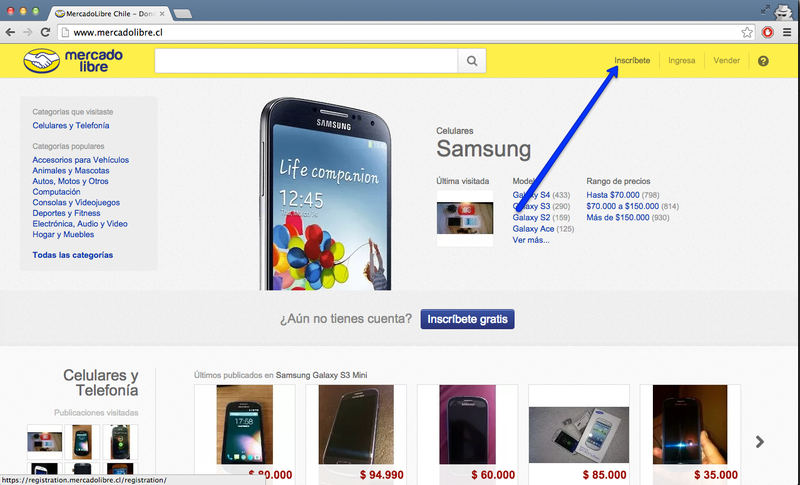 ), you can use a Google Translated version of Mercado Libre. Not perfect, but not bad either. Here are the steps I took to create an account, ask questions, and purchase my goods after deciding on a meeting location. If you prefer video, here’s a 8 minute long screencast of everything I’ll mention in this post. 2. After filling in the required info, perform a search, and apply relevant filters. I wanted to pick up a phone same day, so I put the filters for Región Metropolitana in Santiago at the lowest price bracket. 3. 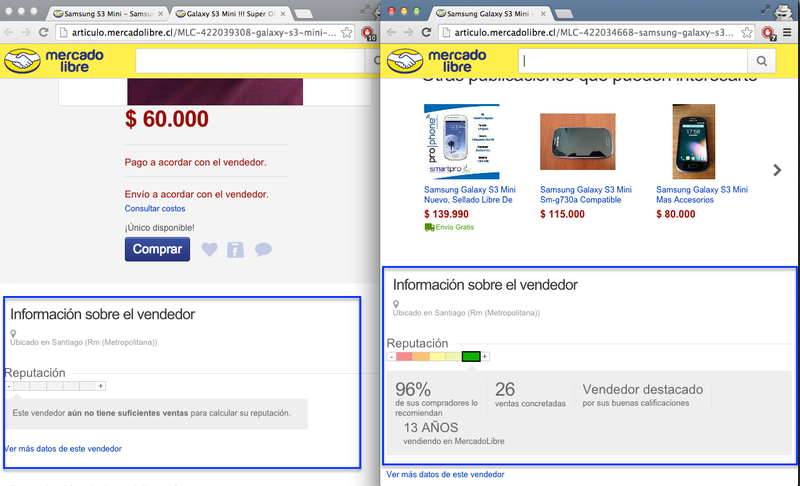 After clicking on an item, don’t be alarmed by a seller without any past transactions because the vast majority of venders on Mercado Libre actually don’t have any. This is especially true if you’re planning to just meet in person. In this case, many of the venders are probably just trying to get rid of their phones after upgrading. 4. Scrolling a bit farther, you’ll see the Questions section. You can then ask things like if they’d like to meet up today, if they can go down to xyz price, etc, but keep in mind most items have past questions and answers. Many profiles will also list their average response time which is nice. 5. If they respond, you can just ask questions back and forth until you get a certain meeting place and time. Saying what you’re wearing will help. Best places to meet are probably coffee shops or metro stops. Keep in mind these posts are public. Vendors in the past have left their email addresses, though.